Continuing on with my favorite Olympic moments. 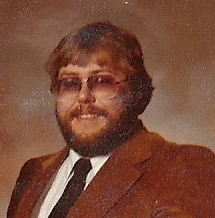 Winter 1980 – Lake Placid. The Olympics during the Cold War were pretty much looked on as a substitute for actually going to war and nuking everyone into oblivion. Every day the medal count was posted. How was the US doing against the USSR, the East Germans and the rest of the Commie Eastern Bloc? The US at the time practiced true amateur athletics. Our hockey team was made up of college kids. The Soviet Union hockey team was made up of professional players, in their 20’s and 30’s. The Soviets had won Olympic gold since 1964. In 1979 the Soviets went 5-3-1 in exhibition games against the NHL and beat an NHL all-star team 6-0. Our Olympic team, in preparation for the Games, played 61 exhibition games, the last one against the Soviets on February 9th, 1980. The Soviets slaughtered our boys 10-3, It was pretty clear that the US chances of winning the Olympics were slim and none, with none about a lap ahead of all the other options. The game between the Soviets and the United States was held on Friday, February 22nd. It was my first year of teaching and coaching. I taught until 3:00 and immediately the entire coaching staff left for a football coaching clinic in San Diego. I missed THE game. But the entire weekend, that is all that people could talk about, and highlights were replayed over and over again, so much that I feel that I actually saw the entire game. On Sunday, in a bar on the beach, we did watch the championship game, in which the US won gold. Yes, we were raising our glasses and shouting USA! USA! like every other American who watched the game. Score one for the Amateurs. The game was is now known as “The Miracle on Ice.” This was because of play by-play man Al Michaels shouting as the clock wound down “Do you believe in Miracles?” The game was named the Top Sports Moment of the 20th Century.